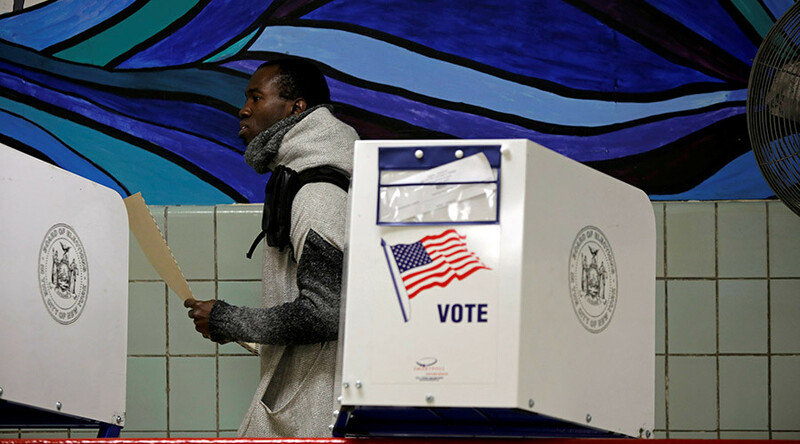 The Department of Justice alleges the New York Board of Elections broke the law when it purged approximately 117,000 Brooklyn voters before the presidential primary. The Department of Justice said in its brief, filed in federal court on Thursday, the move violated the National Voter Registration Act of 1993. “Federal law demands careful maintenance of the voter rolls to ensure lists are kept accurate, without unjustifiably and unlawfully purging eligible citizens,” DoJ Assistant Attorney General Vanita Gupta, said on announcing the motion to intervene in the lawsuit filed by Common Cause New York in a released statement. The law prohibits removing voters from the rolls unless a person has failed to vote in two successive federal elections and failed to response to a notice from the Board indicating their registration would be cancelled. It is the first time the Justice Department has taken a position on the city’s purge since it was first reported in April last year. The action by the NYC Board of Elections led to an 8 percent decline in voter registration in the borough. According to the complaint, the NYCBOE Chief Clerk and Deputy Clerk devised a plan to clean up the voter rolls in Kings County. “The Chief Clerk initiated this ‘clean up’ plan with the intent to remove from the voting rolls any active status voters who had not voted since 2008 and whose voter registration record contained no other activity since 2008,” stated the complaint. The filtered list contained more than 122,000 voters. Staff members then flagged any names on the list with no recent activity. According to the brief, many of the voters flagged for removal were in “active registration status” and had never been sent a confirmation notice since the time of their last registration, and among those on the list were over 4,000 voters who had voted since 2008. The NYCBOE sent notices to a subset of the list of flagged voters. Over 4,000 voters responded and their names were not canceled, but another 117,000 did not respond to notices and they were purged from the roles. “A lawsuit should not be necessary to get the Board of Elections to comply with applicable federal law. New Yorkers deserve a professional elections administration that makes voting easy, accessible, and efficient,” Susan Lerner, executive director of Common Cause, a good government group, according to New York Daily News. WNYC reported in a letter to the judge that the Justice Department said it is in talks with the board about a remedy and will have answer by February 6.